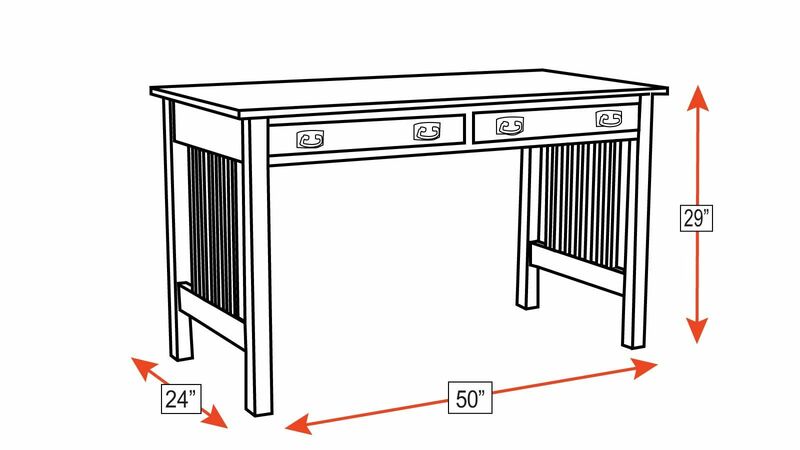 This desk's Arts and Crafts style, also known as American Mission style, is a lasting, 100-year-old design that looks amazing in today's modern home. Solid, quartersawn white oak construction and a rich, aniline-dye stain create an unforgettable look. Two drawer design gives you one drawer for storage and one drawer for a keyboard. 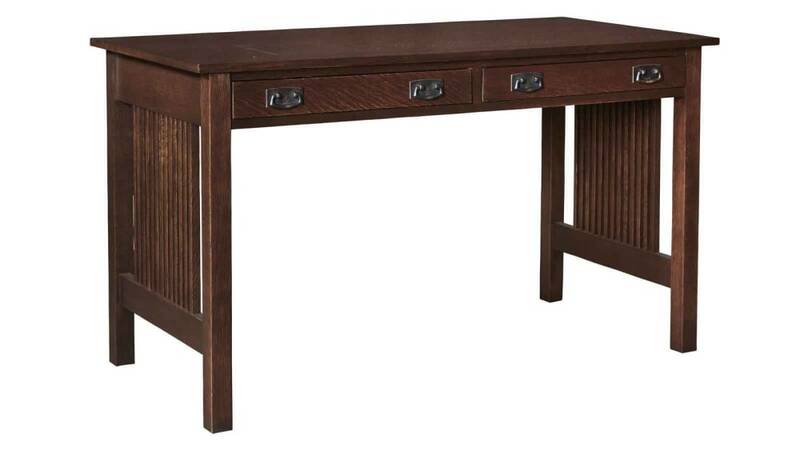 Eye catching spindles on each side of this desk create the signature style that makes this desk so attractive.